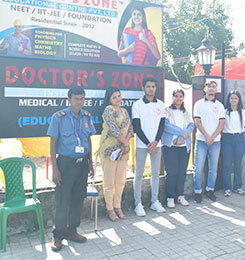 DOCTOR'S ZONE INSTITUTE was incorporated to impart quality education to students, preparing for various competitive examinations, with the sky-high ideas and commitment to excellence. It is a vibrant, dynamic and responsible institute of the country. The tradition of innovation and excellence continue with our quality of education that it imparts to engineering & medical aspirants and its dedication & devotion towards their success in different competitive examinations. 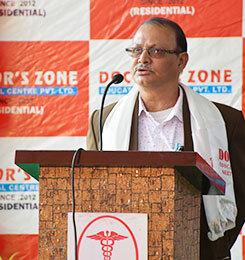 Today, DOCTOR'S ZONE INSTITUTE stands apart and well above the rest on a distinguished platform, as an epitome of success. This could be achieved simply by virtue of the excellent teaching methodology that it has evolved, developed and implemented over the years. Since beginning our objective is to enable each aspirant to achieve success in different competitive examinations. In the pursuit of which, it has to its credit a team of outstanding faculty members added with the complete & finest study material, excellent coaching methodology and a stimulating academic environment. We believe that effective guidance is the primary need of every student, which would create motivation and encourage the students. 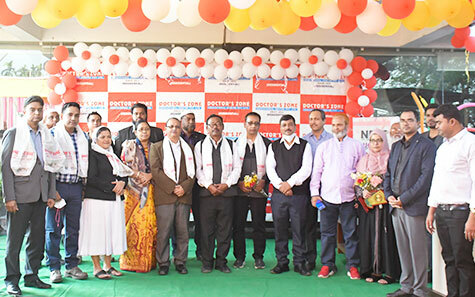 It will also instill confidence to face all challenges and that is exactly what DOCTOR'S ZONE INSTITUTE imparts in all its coaching programs. 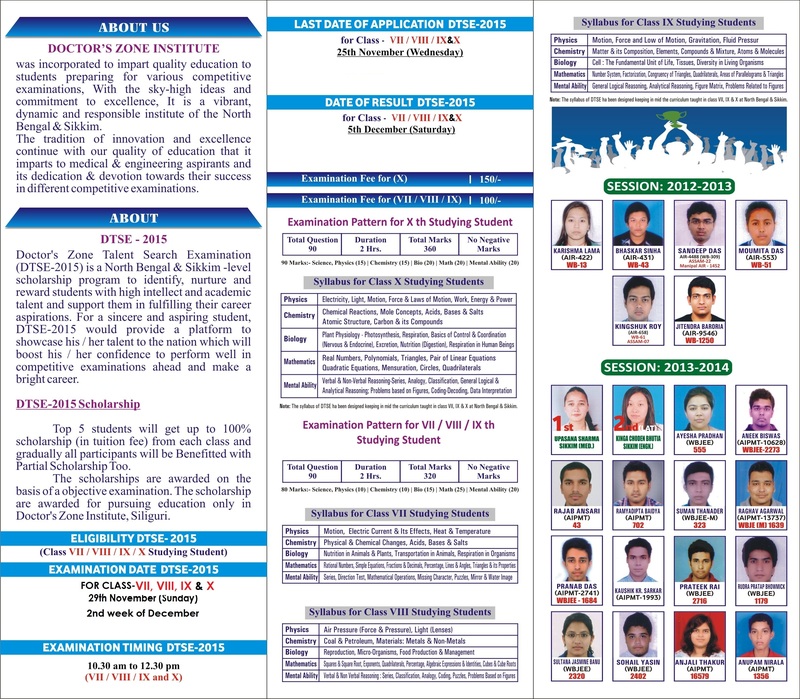 Ever since its inception we are producing results in various competitive examinations. Every year, our students are securing top ranks in various competitive examinations, which speak volumes about our commitment to excellence and perfection in imparting quality education. For every course, we have a strategic & a well charted program, which aims at skills in a well organized manner so that it leads them like a self guided missile to unfailingly hit the target in the bull's eye.